There are 1,200 miles of sandy beaches across Florida’s 1,800 miles of coastline. Unfortunately, every inch of that terrific landscape is at risk of being damaged by a massive hurricane… again. Last year’s Hurricane Irma was the most powerful Atlantic hurricane in recorded history. It was a Category 5 storm with intense 185 MPH winds for 37 hours straight. As Florida residents begin to protect their properties from the upcoming storms that are expected during the 2018 Atlantic Hurricane Season, they are still recovering from last year’s damage. According to The Washington Post, scientists are pointing to an environmental factor that may have made Irma’s impact on Florida even worse: the ongoing loss of coral along the historic Florida Reef. The Florida Reef is among the world’s largest coal reefs, stretching out more than 160 miles. But the reef has been in trouble for a while now, as less than 10% of the entire reef is covered with living coral due to back-to-back bleaching events and warming waters. Now, scientists are worried that these reef issues will have a direct result on Florida’s ability to buffer major storms. The National Oceanic and Atmospheric Administration (NOAA) and the U.N Intergovernmental Panel on Climate Change have also pointed out the ability for coral reefs to buffer storms and reduce flooding. 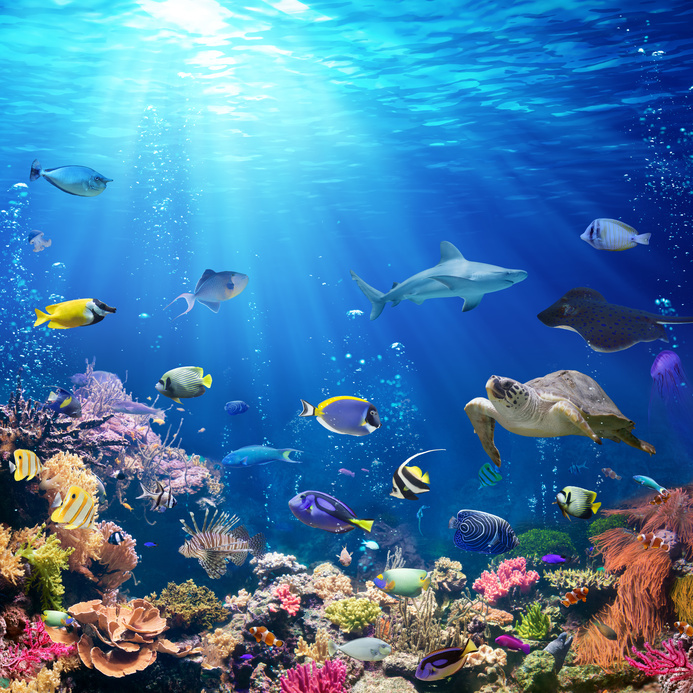 One meta-analysis by Storlazzi and Michael Beck, lead marine scientist at the Nature Conservancy (as well as colleagues from Stanford), compiled more than 250 individual studies, which suggested that coral reefs could reduce the energy of incoming storm waves by as much as 97%. It hasn’t just been storm damage that has negatively impacted the reef, either. According to Oceans Deeply, a mysterious but persistent disease has been significantly damaging coral reefs alongside Florida since 2014. The pathogen damages coral tissue and it’s projected that between 60% and 100% of corals on certain reefs have been compromised. But the hurricane damage has been much more boisterous. Divers have been measuring the damage of last year’s storm alongside the reef and deemed 14% of the sites a Tier 1, which means severe impact has occurred and it should be immediately ruled a top priority for stabilize ation, 33% were Tier 2 (moderate damage), and 53% only suffered minimal harm after Irma and other powerful storms. Thankfully, plenty of sites alongside the reef were covered by a thick layer of sediment, keeping the coral cover underneath healthy and strong. Those healthy areas will actually start to replenish the other areas that suffered severe damage. In order to expedite this much-needed reef recovery process, a rescue mission financed by the National Fish and Wildlife Foundation has begun to physically repair the reefs. “After a destructive event like a hurricane, it’s much more efficient for us to swoop in and save injured but otherwise viable corals, than plant new nursery-grown ones,” added Tom Moore, NOAA’s Team Leader for Coral Reef Restoration.